The Wave (The Contemporary Resort): The first night we dined here was our "virgin" WDW allergy dining experience. The chef came out, wrote down all the allergies and then asked her what she would like. My daughter currently has an obsession with chicken tenders. 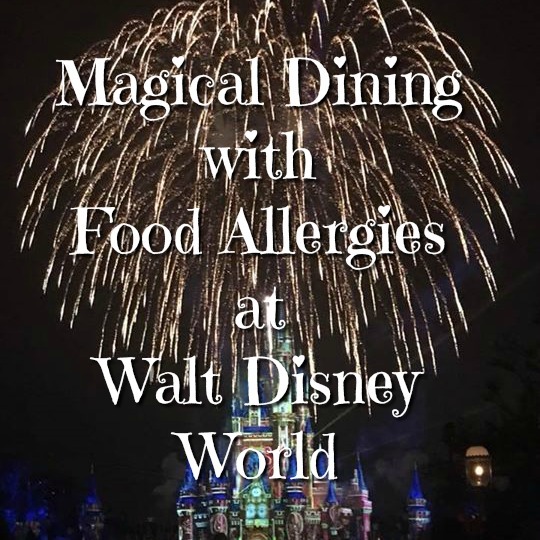 While they don't carry them in the restaurant itself, the chef was able to secure allergy-friendly gluten-free chicken tenders and french fries from Chef Mickey's and then find almond milk and GoGo Squeeze applesauce packets to go along side them. For dessert, she gave her vanilla Rice Dream ice cream with a side of Hershey's chocolate syrup. This kid was in heaven! She repeated a similar meal on our last night. 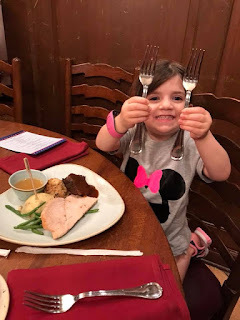 The Liberty Tree Tavern (Magic Kingdom): I will say that his was the highlight meal of our trip for her. The chef provided her with a nearly identical meal to the one that the rest of us were served family style. It consisted of pot roast, roast turkey, gluten-free stuffing, mashed potatoes and gravy. To all of our surprise, she went CRAZY over the pot roast. We ended up requesting seconds of it. I think she ate her weight in it and getting this kid to eat any sort of meat, short of chicken tenders is really difficult. I couldn't help but take the video (above) as I think it best exemplifies how magical her Disney dining experience was. Her meal was finished with a raspberry sorbet on a bed of fresh blueberries. Akershus Royal Banquet Hall (Epcot): This was a character dining experience and they did a nice job of catering to her needs. There's a buffet style "salad bar" for the general guests but they happily brought her a bowl of fresh fruit separately to enjoy as to avoid the potential for cross-contamination that's nearly inevitable with buffets. 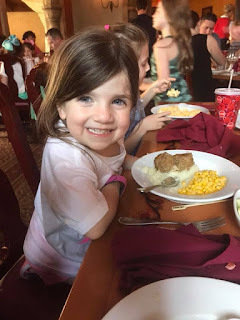 For her main entree she was served allergy-friendly meatballs, mashed potatoes, corn and then ended the meal with the Rice Dream vanilla ice cream. Raglan Road (Disney Springs): My parents took just the girls here for a sit-down lunch and Lou was able to easily secure a allergy-friendly meal of chicken tenders and fries. Unfortunately, they did not offer a single real allergy-friendly dessert and brought her a bowl of fruit while her sister chowed down on a HUGE ice cream sundae. 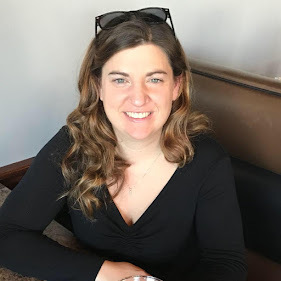 I will admit, I was surprised to learn this since the Erin McKenna bakery was literally around the corner and offers a completely allergy-friendly menu of baked treats. Erin McKenna's Bakery ( Disney Springs): This was where they immediately headed after lunch (above) so that she could get a yummy cupcake! This would be the very first time she's ever ordered a bakery item and she absolutely loved it! Be Our Guest (Magic Kingdom): This was probably the least "successful" of all the sit-down meals she enjoyed on our vacation. 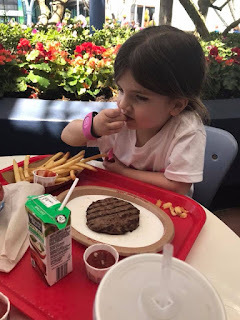 Unfortunately they weren't able to really secure any "kid-friendly" allergy-safe food for her and brought her steak, green beans and applesauce. They couldn't even offer the allergy fries which kind of surprised me. She ended up just eating some of the applesauce and that was pretty much it. The steak was too tough for her to chew and not really appetizing for even me to want to eat. To be honest, all of our food was just sub-par here (except dessert), so we likely won't be back. 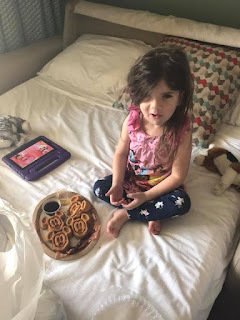 Quick Service Restaurants (breakfast): At The Contempo Cafe, we were able to order her allergy-friendly Mickey waffles and bacon! These were delicious and the chef here was extremely accommodating. He even remade them after a member of his staff set them aside and overlooked our order and they became slightly less than fresh. He also gave us extra allergy safe treats for waiting for the new order. I was extremely impressed by the service and taste of these breakfast items! 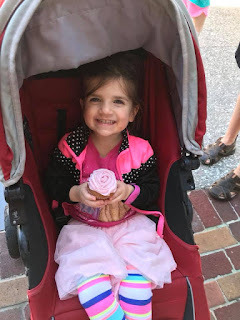 Quick Service Restaurants (lunch): We were able to safely secure allergy-friendly fries and chicken tenders/burger patty at The Harbor House in Magic Kingdom, The Contempo Cafe at The Contemporary Resort and The Electric Umbrella at Epcot. The only place that we won't return due to the long wait for only allergy-friendly fries is Cosmic Rays (Magic Kingdom). The person helping me was extremely helpful and knowledgeable but I waited over 40 minutes just for fries and by the time I got them everyone else was finished with their meal. Snacks: Her two favorite and safe snacks at all the parks were the Strawberry Fruit Bars and Minute Maid Frozen Strawberry Lemonade Cups. We were easily able to find these at many snack carts and they were perfect for keeping cool and having a treat on those hot park days. Mobile Ordering: Unfortunately, at this point, you are not able to order allergy-friendly food through their mobile ordering system for quick service restaurants. I did, however, order most of everyone else's food this way at a few places and it was extremely quick and fresh. Overall, I can honestly say I was thoroughly impressed by the diligence throughout our stay at Walt Disney World. 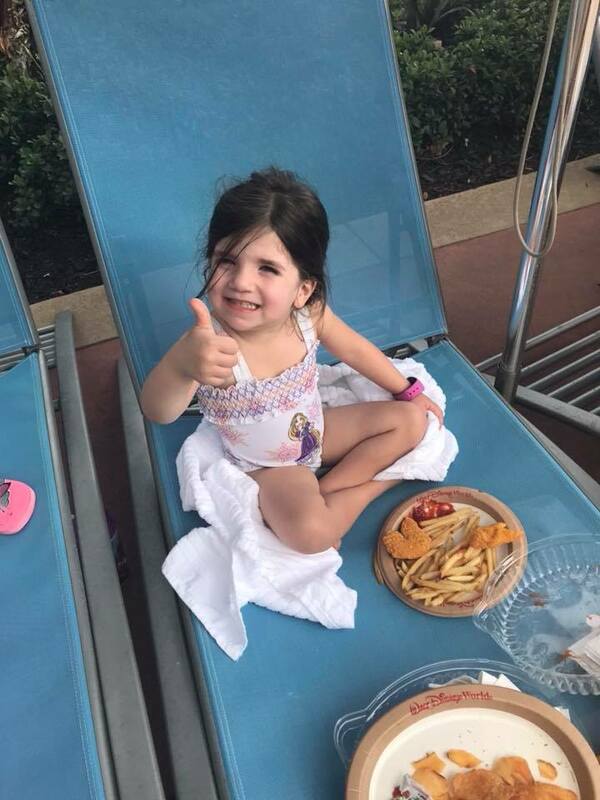 At every single restaurant (table service and quick service), we were able to easily discuss her allergies with either the chef or a well educated member of the Disney dietary team. They took excellent care and diligence in being sure her allergens were avoided and her food was safe and fresh. 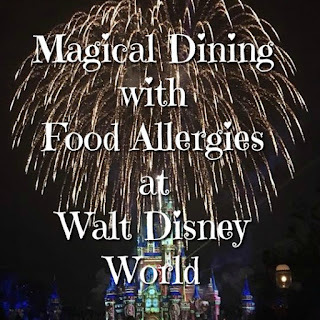 I can only begin to imagine, in the future, how Disney future progresses their abilities to provide allergy-safe versions of every food/snack at their resorts and parks. It's pretty impressive now!